Travis Tritt live in concert! Tickets are on sale now! Buy yours today! Enjoy our Live Harness Racing Season starting June 2nd! Check out our 2019 Live Racing Calendar! Check your player information on our brand new player portal! 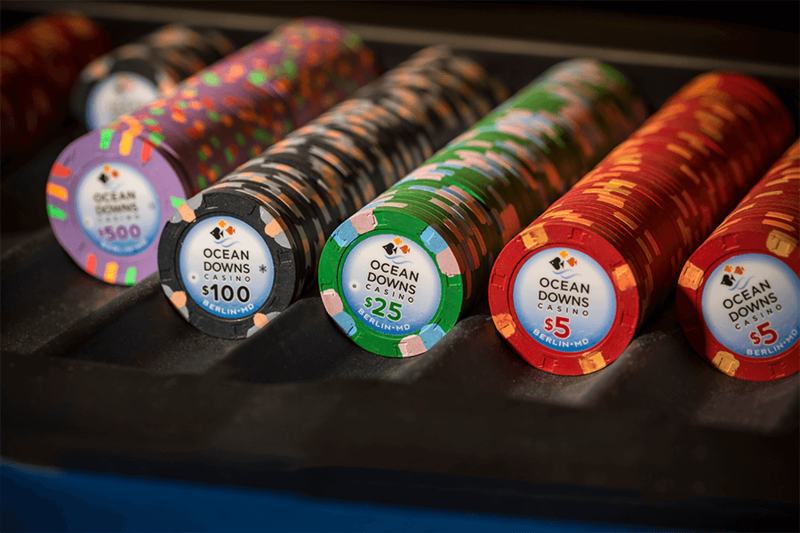 Oceans Down Casino- Where the Fun Shines! We're open 365 days a year! Enjoy Live Harness Racing starting in June! In addition, watch Simulcast Racing year round at the Clubhouse! Over 70,000 square feet of gaming! Check out our brand new themes, and live table games! Never miss out on what is happening at Ocean Downs! Be sure to keep up with our promotions! Have a bite at any of our amazing restaurants! Catch our FREE Shuttle Bus from our partnering hotels in Ocean City!